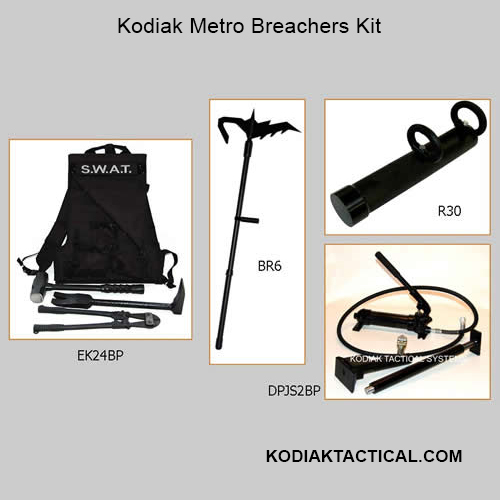 Kodiak Metro Breacher’s Kit features all the essential tools needed for tactical forced entry! 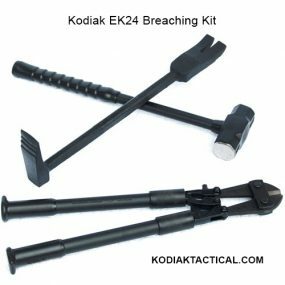 HB24, Halligan Bar with the Kodiak Grip on the pry and fork ends and the only bar the uses the no-slip handle coating. and a heavy duty Cordura backpack. (1) DPJS2BP: Powerful Hydra-Spreader Door Pusher and Jamb Spreader. 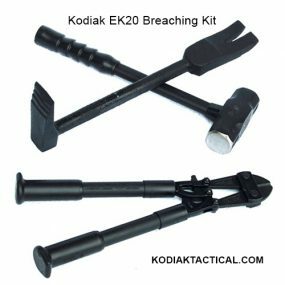 Innovative tool allows for either powerful jamb spreader or door pushing action all from one tool. 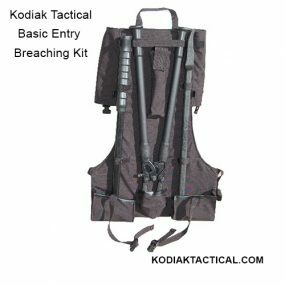 The unique quick turn lock-in design converts the door pusher into a full width jamb spreader. Door pusher has a 4’’ stroke and when connected to the jamb spreader can spread door jambs 27” through 40” wide! 2 stage pump delivers 8000 psi of door opening power. 5’ hose and Cordura back pack. 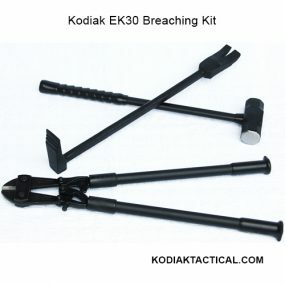 (1) R30: Traditional style Battering Ram using tough HDPE body and UHMW strike face. 32 lbs, 32” long, 4 1/2 diameter body with 5” diameter strike face. (1) BR6: Constructed of high strength steel alloy for the head and lightweight fiberglass shaft. Oversized hook works great to remove the toughest blinds and curtains. Multi-point lance is perfect for piercing, pulling, pushing and ripping out windows. Movable handle on shaft give perfect balance for multiple users.